Testimonials | iCan Shine, Inc.
"I just wanted to thank you on behalf of Trisomy 21 Foundation of NNY for an incredible iCan Bike camp. From the start, all my many questions were answered quickly and guidance was available throughout the planning process. Kevin and Kelli were amazing! We had riders ranging from age 8 to 59 and their expertise and professionalism made each rider feel accomplished and special. The feedback from our community has been overwhelming. We had volunteers tell us that the week has changed them for the better, parents tell us about the joy of seeing their children ride, spectators tell us they had to see it to believe it. Thank you iCan Bike for this program which really does change the lives of every person involved." "No suggestions. Everything went great!" "I really thought everything went great! You were right, it is the toughest job I've ever loved so much!" "This is an outstanding corporation, you have made it easy for us from start to finish. Thank you, it has been an absolute pleasure working with you." "We are incredibly satisfied, your staff are amazing and the support from Shine is largely why we are so successful here in Charlotte." "This is a fabulous camp and have been very happy with all areas of your service." "This was the 6th year for Easter Seals Capper Foundation to host, my first year being here and helping. The event was organized, the iCan Shine staff were knowledgeable and helpful. I can't think of anything that needs improvement." "I am thrilled and hear nothing but great things from parents, sponsors and riders themselves. We LOVE it!" "Things are going great. We love the partnership with iCan Shine. Thank you." "You all are doing an amazing job. Parents often comment that they wish the camp was longer than a week and could go on throughout the year." "You are a well oiled machine." "We love your program!!! Our families love the program and the smiles on the riders face say the exact same thing!" "This was our 2nd time hosting the camp in Conyers, GA. We have started something great and can't turn back now! It is such a rewarding and awesome feeling to be a part of a program that gives a new, life-long skill to individuals who may have thought they would never ride.Parents, riders, and definitely VOLUNTEERS make this program work! We appreciate the staff of iCan Shine for their patience and expertise in working with our special families.We are looking forward to many more camps in the future!" "Yes, staff were awesome. They did a fantastic job of motivating our kids and getting them on and back on bikes, especially after falls. They went above and beyond for each student regardless of their level of ability. We were excited to see the speed of progression of all the students. One child in particular didn't even (according to his mom) want to sit on a bike in the bike shop and by the end of the week was riding totally independently!" “The staff exceeded our expectations. They both had such dynamic and energetic personalities that they were able to work through any situation. Their interaction with the campers, parents, volunteers and our staff was always positive and productive. True professionals who care about what they do. We received great pre-camp support and guidance. All questions were answered in a concise manner that greatly assisted us in the operation of the camp. "Yes, staff were fantastic. Very organized and had the riders best interest in mind. I received a lot of support from staff as well as information provided on the iCan Shine Host webpage. This made it easier to communicate with the riders families and volunteers." "Yes, staff were amazing and very helpful." "Staff were amazing during camp week! They were both great with all of the bikers! Bike camp was a wonderful experience, not only for the riders, but the parents and volunteers too. I'm looking forward to hosting another camp next year!" "Hosting iCan Shine Philly was probably the best week of my life. I got to learn so many valuable communication skills, meet the sweetest kids in the world, make a difference in their lives, run until I could barely feel my legs, and have an amazing time doing so! It was a wonderful experience!" "Yes, staff met and exceeded expectations! Everyone was so helpful and didn't make me feel like I was 'bothering' with my loads of questions as a first year host. Tremendous experience! Feedback from parents was 100% positive regarding staff and camps as a whole." "I have done multiple special needs activities with/for my son over the years. I have NEVER had such a wonderful experience as I had at this camp. I can’t believe how these children learn and gain the confidence to ride in such a short period of time. Monday morning, my son was afraid to get on the bike and said “I can’t do it. It’s too hard”. He went through all the roller sizes on the first day and was riding by day 3. The equipment is amazing, the people were wonderful. Every step of the whole week was well planned and organized. It left me and my family extremely pleased and in a total sense of awe. Excellent job with this program guys!!! Jaw dropping!!!!!!" "I was extremely pleased with the program. Everyone was very supportive and patient while working with my son. I am very greatful for this amazing program and overjoyed that my son successfully rode a bike independently! Many thanks to this organization!" "This program has opened so many doors for Ethan's future. I CAN bike also means I CAN do anything." "Great program --- such a confidence boost for our kids to be able to ride a two wheeler bike in such a short amount of time. I don't know how we would have ever been able to teach our son this on our own. He was fine on training wheels but just couldn't make the jump to a two wheeler. It was amazing to watch his progress as well as the progress of all the kids in his session." "I can't sing the praises of this program enough. My almost 9 year old tried to get on two wheels for 3 frustrating summers. At iCan Bike he was on two wheels by Day 3. Those roller bikes are pure magic!!" "Few things in life make you want to get out of bed early!! I never had trouble getting my TEENAGE son (participant) and TEENAGE daughter up at 7 am. We were excited and filled with joy everyday. Thank you!!" "Besides the fact that my son is now riding his bike on two wheels, I love that I also saw an increase in his confidence. As we were pulling out of bike camp on the last day, he said "Well, I learned to ride a bike. Next on my list: CONQUER THE WORLD!!"" "Gabe learned to ride in 3 days. This camp was able to teach him what we weren't able to do in 3 years!! Thank you so very much. He rides his bike everywhere now." "The iCan Bike week was in one word "Awesome"! Everyone was attentive to the needs of the campers. My son Timothy was smiling from ear to ear each day. That warmed my heart. So keep up the superb work that you are doing. Thank you all." "Within the first 10 minutes of our first ride at home the following day. Holly said "I want to try to start all by myself.. I know I can do it..." and she did! The level of confidence she carries riding her bike is amazing. Biking is now an inclusive activitiy with everyone participating at the same time. Thank you!" "The camp and staff were wonderful to both the parents and the students. I am amazed at how they were able to encourage my daughter and teach her and allow her to accomplish the skill of bike riding. Four days later, she is still telling everyone she knows how she can ride a bike. I am thrilled with camp and this wonderful accomplishment my daughter has achieved with the help of your incredible staff!!! Thank you again!!!" "Start to finish, it was awesome! My daughter walked out of camp beaming on the last day. With a huge smile on her face and gold medal around her neck she said, "I am SO proud of myself!"." "This program accomplished in 5 days what we haven't been able to do in 10 years. Our son can even ride up and down hills with his bike now (unassisted on two wheels with no training wheels) when he could barely ride on a flat surface with training wheels before camp! I can't say enough good things about it. It was well worth the money and time involved. We GREATLY appreciate the iCAN Shine staff as well as the sponsors and all of the volunteers who gave their time and energy during camp to help our son accomplish such a difficult task. He now loves riding his bike when it used to be a chore just to get him on it." "This is the most amazing program my children have ever participated in. The volunteers and staff were ready and willing to take on my high energy boys! I was skeptical that they could teach them to ride a bike in just a week, but I'm happy to say I was proven wrong! Both of my boys successfully rode a 2-wheeled bike on the final day of camp!" "I didn't think my son would be on a 2-wheeler on day 3! It was an incredibly empowering week of fun. I've had 3 adults try to teach him to ride prior to iCan Bike with no success... just couldn't get past his anxiety. This week was magical!!!" "I cannot say enough good things about iCan Bike! I have to admit, I was a skeptic. Coming out of the parent orientation on Sunday, I thought it would be a good week and that Joey would gain skills but there was no chance he’d actually be riding a bike. I’ve never been so thankful to be wrong!!!! I was a puddle all week - I cried every single day! Watching these riders’ faces as they exceeded their own expectations and learned a skill so far beyond their capabilities just a few days prior is something I will never forget. The joy and pride on their faces was indescribable. Thank you from the bottom of my heart. This was one of the most amazing experiences I’ve ever been a part of." "I am SO glad my son did this! From not knowing how to ride to riding totally on his own by the end of the week. He is so proud. He’s already saying that now that he can ride a bike, he can try to learn to ride a motorcycle when he’s an adult. Lord, help me! LOL! Seriously, though, it’s wonderful to see the joy these kids have when it finally “clicks” and they “get it” and can do it on their own." "We drove about 900 miles in 4 days to attend this camp. We live in Sodus, NY but I wouldn't change a single thing! This really was a great experience for William from day one. He was nervous about riding before camp and in 1 day your staff and volunteers eliminated any fear he had. Worth every mile that we traveled." "I love to see the kids realize they can. Even as a parent I didn't know whether my son would really be able to learn to ride a bike. I wondered whether he might be in the small percent that wouldn't learn. Yet, sure enough by the end of the camp he was riding on his own too. I saw how proud he was. It was so fun. And as a parent all I could think of was, if he can do this what else can he learn to do :)"
"The competence of everyone involved from staff to volunteers. There was a plan and it was executed perfectly. I know this sounds crazy but in 26 years I have almost never seen my son learn and gain a skill, and such a valuable skill, and to mastery. He still needs practice and we still have to work on stopping the bike and self starting, but he is on two wheels." "This was such an amazing experience for Seán and our family. Seán went from crying with fear saying he can’t go to this camp because he is too old and he will never learn to ride a bike to running up to his mother exclaiming, “I can do this! I can ride a bike!” To see the pride and pure joy on his face was amazing! We consider ourselves very fortunate to have been able to participate in this program." "My son Caleb was 9 on his first day of iCan Shine bike camp. He was VERY afraid of falling and came to class already frustrated and feeling stupid (his words, not mine) at not being able to do it already. His Autism makes each part of bike riding difficult and an individual lesson to be mastered. Coming every day with other students struggling helped to make him feel like a member of the group. While he hadn’t yet mastered biking on the last day, both of us had learned the necessary tools for eventual success." "My son had learnt how to ride a 2 wheeler at the age of 6 however he was lacking confidence and never wanted to go bike riding. He just completed the 1 week iCan Bike program at the age of 8 and now I can't keep him off his bike. It's such an amazing feeling to go bike riding with him. Almost daily might I add!" "My daughter Grace has wanted to ride a two wheeled bike for years. She has 3 older siblings and her dad and I ride. We worked with her for years and she was not able to master the skill. Last year at the iCan Bike camp she rode for the first time. We were so happy it brought tears to our eyes. She lacked confidence in getting started and wanted us to always run beside her. This became impossible as she was riding better. So we decided to sign her up again this year. Grace went though the program quickly and was riding independently early in the week giving more time for starting and allowing others to ride beside her instead of running with her. We have taken a ride a the park and have a bike ride planned this week as well. So now, just shy of her 21st birthday, Grace can ride with us. Thank you for this incredible gift and blessing." "I would like to thank on behalf of Lucas and Raphael the iCan Bike Camp Cambridge, through this program my Kids were able to achieve a huge goal. This was only possible with the techniques developed by iCan Shine program. For many years my husband and I tried to teach our children how to ride a bike with no success. Every attempt they got worsens and increases anxiety, frustrations and traumas. Riding a bike is not easy for any child to learn and even more difficult for children with special needs. Our children have many difficulties with balance, sensory processing, anxiety and fearfulness. For this task what's necessary is highly trained staff and adapted bikes to teach the children to overcome all these obstacles. I truly see miracles and all children shine. I never imagined they would accomplish this goal in just a week of training.I have no words to express my gratitude to Nina Katz-Christy and Zaida Block for your hard work to put together and host this extraordinary program, all the volunteers worked so hard everyday with great enthusiasm and positive energy. Also special thanks to the amazing staff Emma and Steven, you made a difference to my family's life. I strongly recommend for parents of children with special needs to enroll in this program because it really works. I beg iCan Shine program please consider expanding iCan Swim to the Boston area. Research shows high death rates from drowning among children with autism. Only with your help we can change these rates, this is our next goal." "My wife found about this program and at first I was a little skeptical because I am a DIYer whenever possible. We decided to give it a go for our 12 year old boy. And wow, it was the best decision of the summer. Our boy has Trisomy 21 and wants to ride like his brothers, but he lacks the muscle tone and balance... he even walks with his head tilted. Before the program he had only ridden on a tag-a-long bike a couple of times. When I came to the class on Wednesday I was a little nervous because he didn't appear to be doing as well as others. I even heard parents talking about when their child was there last year in the program. But the steps were in place and by the end of the hour he was riding his 2-wheeler with only minimal help. The staff were so helpful and encouraging. This system is brilliant and was just what our boy needed. By the end of the week he was confident and had all the skills to ride his 2-wheeler. The environment of the program was positive and focused. We have tried to practice almost every day since then for about 15-30 minutes. And here we are just less than 2 months later and he rides to his friends house completely on his own. We are even considering having him join the mountain bike team next year in the Elevate program. We are elated that our entire family can now bike together. Awesome program, awesome people!! Thank you so much." "This was the most amazing experience and the highlight of our summer! Makenna has down syndrome and is 12 yrs old and has been very fearful and adamant in not riding a bike. After the first day of bike camp, she had a completely different outlook and was determined to ride by herself, yay! By Wednesday she was riding on 2 wheels with assistance and by Friday she was riding all by herself!! She had a little hesitation once at home, but we kept her on her bike each day and she is loving riding independently. She loves jumping on her bike and being able to ride anywhere! We are so grateful for the independence this has given her and the family time this will bless us with for years to come." "My son is so proud that he can now ride a two wheel bike. He wants to show everyone how he can ride and he has been riding his bike every day since camp ended! The iCan Bike camp is outstanding! All of the staff and volunteers were kind, patient, organized and fun! iCan Bike will forever have a place in our hearts! You have changed my son's life and for that we are forever grateful! Thank you!!" "This program is life changing! My son thought he would never be able to ride a bike like other kids his age. He had surgery to remove a brain tumor from his cerebellum when he was 6 years old, which affected his balance and coordination. He tried to ride a bike for the past several years but was always afraid he would fall. After attending the iCan Bike Program, he is now riding his own bike independently with the rest of our family! The confidence he gained from the program is invaluable. The staff and volunteers are wonderful, motivating, caring individuals, who have a true desire to help kids reach their full potential while increasing self-esteem and confidence. Thank you!!" 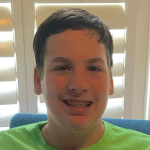 "My 11 year old son has Asperger's (Autism Spectrum Disorder) and ADHD. He was absolutely against learning to ride a bike. He was nervous and disinterested, and refused to even get on a bike with training wheels. He was very upset and angry when I told him that I signed him up for iCan Bike. On day one of the class, he enjoyed the specially adapted bike and liked having many volunteers around him to provide safety, security and encouragement. Despite all the positives, he still said he didn't want to bike. On day two, he rode the special "bike" again and he got to ride tandem, but still said he didn't want to bike. Day three, he got on a regular bike with a safety handle. On this day, my son started to ride a "regular" bike and gained confidence. By day four, he was on his own bike with a volunteer by his side and he was now telling me he couldn't wait until the next day to ride again. Day five, he was riding his own bike as if he had ridden for years. He told me that he never wants to stop riding his bike. He gets in a "zone" while riding and is focused which can be tough for a kid with ADHD. He absolutely loves biking now I can honesty say that he wouldn't have achieved this without the help of iCan Bike. Thank you to all the wonderful staff and volunteers!!! We will be forever grateful! - Megan from Toms River, NJ"
"From Fear to Freedom in just Five Days!!!! I was skeptical when I signed Savanna up for iCan Bike. We have tried for years to teach her to ride a bike and had resigned to a three wheel bike. 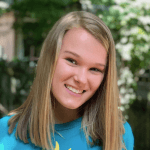 With ASD, low muscle tone in her legs, and neurological differences that affect her spatial perception and balance, it really seemed like too much for her to overcome. By the fourth day, she was on a two wheeler with minimal spotting. On day 5, she was riding laps on her own pretty purple bike, singing as she went, without any assistance! And, she went out to ride some more tonight! Truly amazing! Thank you, iCan Shine for this gift of a little more independence for our sweet pea!" "Words cannot express our gratitude for this wonderful program we attended in Sewickley, PA. The hosts at Quaker Valley School District, the staff of iCan Shine, and all of the selfless volunteers who came together to offer such an outstanding week of bike camp need to be commended. Our son attended bike camp last week and is riding independently and we couldn't be more proud! He worked so hard along with everyone at the camp. To see your son accomplish something you weren't sure if he would ever do is truly priceless and inspiring. Thank you to everyone involved." "I just wanted to thank you all for this amazing program! My 14 year old daughter (ASD, ADHD, low IQ) just finished bike camp yesterday. We've been working with her since she was four to help her learn to bike and this was our last effort before throwing in the towel. We couldn't find training wheels big enough to support her weight, we couldn't physically (and safely) help her anymore, and she had given up on learning. But with your help, she was riding with a roller the first day, on a two wheeler by the third day, and outside riding her own bike by Friday! I get tears in my eyes just thinking of it.She will probably never drive a car, so this not only means a chance to bike like every other child, but an increase of independence for her throughout her life. She's not an easy child to deal with behaviorally either, but everyone was just so kind, understanding, and most surprisingly, successful in handling her. Your program is amazing, your people are amazing, and the volunteers are amazing! A few times throughout the years we have run into fantastic people and programs that have been lifesavers for my daughter. I absolutely consider you to be one of those! I would recommend this program to anyone!" "It is a great pleasure to be able to see my son riding his bike. This camp was of such Great Blessing to my life and for my son, Josanel enjoys riding his bike and every time we go for a ride he feels really happy. This bike camp has helped motivate my son and has helped me see the endless opportunities that there are for my son so that I will never give up on him. As a working parent of a special needs child, life challenges can make you feel somewhat disappointed at times. Being able to see my son ride is bike by himself made me feel super special." "Our Grandson is 10 ½ years old on the Autism spectrum and also ADHD. We adopted him from foster care in 2015 and we have worked with him the past couple years along with his occupational therapist. The furthest we ever got was riding with training wheels. We came to a point where we thought he would never ride a two wheel bike solo. The people who worked with the riders at the “iCan Bike - OKC“ bike camp were all amazing. Brianne and Ben are awesome!!! The volunteers and coordinators for the OKC camp were so kind and helpful to everyone. We can not thank you enough for bringing this bike program to riders with disabilities who would most likely otherwise never know the freedom, joy, and confidence of riding a bike on their own.We found out the bike we had for our Grandson was not going to work for him and we were unable to purchase a different one at this time. We just thought we would try and get him one later when finances improved. Brianne and Ben had told us that we could use one of their bikes during the solo riding. BUT, during the week when we came to one of our Grandson’s sessions, the OKC iCan Bike local Host Organizers presented our Grandson with his very own brand new bike that is a perfect fit for him! We can never thank the Host or iCan Shine enough for making this all possible for a little boy with disabilities who has experienced so much hurt and loss in his life. I could never describe the joy I felt in my heart when I saw my Grandson ride for the first time in his life all by himself. Thank you!" "The iCan Bike program was amazing! Noah & Robin are such nice people and they were amazing with the kids. My son was riding his bike by the end of the program. My daughter was a volunteer and loved this program so much that she wants to help out again next year. Thank you for running this fantastic program!" "I went into this program with my 9-year-old son (who has autism and ADHD) and had minimal expectations but was soon blown away at how rapidly my son made progress and advanced enough to try riding a regular two-wheeled bike on his own. His success is due to the amount of staff devoted to each rider and the great adaptive riding bikes used. After a few days he was riding on his own and genuinely seemed proud of himself. Our STRIDE program partnered with iCan Bike, here in Albany, NY, and I'd highly recommend it to anyone with special needs kids! Thank you!!" "After the graduation ceremony was over, and everyone had left on day 5, I put Luke on his bike for one last try. With just a single push, he was riding multiple circles in the gym independently! The volunteers ran back in and said "What just happened?!" There were hugs and tears all around. I said it was the best day all year. Luke said, "It IS the best day all year...so far!" With this victory, Luke is ready to conquer even more challenges. What a gift for our family. Thank you, iCan Bike!" "My son is 8 and for years we have been working with him on riding a bike. Although he has had a bike for 3 years it wasn't until a year ago he was able to successfully pedal a bike. So, when I found out through our challenger league that iCan Bike was coming to my area I was ready to sign my baby up. After 3 days he was riding a 2 wheel bike no training wheels and on Friday he rode his new 18 inch bike all by himself with just a little push and guidance on stopping. Thank you for giving our kids an opportunity to learn things that some of us moms thought might not be possible." "My son Michael is 9 years old. Having Aspergers, he has a hard time communicating and gets frustrated easy. The first day of bike camp he was scared and shy. As the week progressed, he looked for his volunteer, Andrew, and would smile from ear to ear as soon as he would walk in the gym. Michael's confidence grew daily and by the end of day 4 he was riding independently. The iCan Shine staff Kristen and Sam were amazing! Not only did they make you feel like family from the very beginning, they were kind and encouraging. I would recommend every child that needs a little extra help attend camp. It is such an amazing experience!" "Four years ago between 5th and 6th grade my son Matt attended the bike camp. I had tried everything to help him learn to ride a bike without success. I was so moved by this that I suggested to Matt that we voleenter after his time slot each day since we would already be there. My son has autism, I thought he would never ride a bike. He now rides his bike often, to school and some of the hike and bike trails. With the adaptive bikes and wonderful staff many of the riders could ride by the end of the week. The special bikes helped him stay calm and gave him the confidence he needed to succeed. There were tears in my eyes when he was able to finally ride. I will never forget this. We will volunteer whenever we can because this is life changing." "I never ever though my child would ride a bike. We always try to expose him to new things, so this is why we brought him to Brunswick, GA. iCan Bike. I was not planning on leaving disappointed because I didn't expect him to learn to ride anyway. Well, let me tell you something. My child David Smith, who has Down syndrome did not do to bad the first day the second day he did just about what I had expected. The third day he got back on track. Well, to make a long story short ,by the time we left, we had something to work with and a lot more hope: DJ is cruising. I will try to upload video if not here, on Facebookmom"
Trey’s Ride"Me: Here we go again - Signing up for the impossible. I knew the requirements for biking included steering, balance, perpetual motion, starting, stopping, a sense of danger, and on and on. In my mind, I clearly envisioned a broken leg, broken arm, or at least a deep wound and the corresponding emergency room visit followed by who knows what. So this makes sense, here what had been said just before that line of thinking…My wife: “I just signed Trey up for iCan Bike.”Well, if you don’t want to read the rest my story, you can stop here – I was wrong!Trey is 18 and has autism. He is non-verbal. We had tried other biking classes before without success.On day one of the iCan Bike experience, I arrive at GMU only to find a very organized, determined organization staffed with unbelievable volunteers. Trey pedals around the inside track, not so willingly, on this contraption that resembles a stationary bike with a roller on the back and three buddies (Volunteers) with him providing whatever is needed and an extraordinary level of encouragement. About ½ way through the first session, one of the volunteers says to me, “he’s got it.” I thinking – yeah right.On day two, more training on the bike I refer to as a contraption with a slight difference. The roller is now tapered on the ends and Trey is learning the feeling and requirements for balance. In the session, a volunteer puts Trey on a tandem bike where the volunteer is in the rear and can impose control as needed. This was certainly the first sensation for Trey of what biking is like. Also on this day, I hear about the 8-mile family challenge as part of Bike to the Beach at the end of July and think, well that’s not going to happen!Unbelievable, on day three, Trey is on a normal full two wheeled bike with only a handle attached at the rear of the seat. Volunteers are running with Trey helping him to start, give steering correction, and giving assistance to avoid a crash. I am convinced the volunteers are absolutely worn out keeping up with Trey and others by the end of this session.On day four, more of the same but the impossible happened – Trey is riding the normal two wheeled bike around the inside track at GMU with no assistance.On the final day, even more incredible - Trey independently rides around the ¼ mile outdoor track numerous times.What follows the training? Several practice sessions and a successful 8.3-mile Bike to the Beach ride.Some final messages: To the volunteers – thank you. To iCan Bike – What an incredible incremental way to teach what was previously impossible. To my wife – I was wrong!" "My name is Alejandro Vizcaino and I want to thank you for the wonderful iCan Bike program. My daughter had the opportunity to attend last week and we had a great time. The staff and volunteers were all excellent. The program was hosted by the Down Syndrome Foundation of Florida. I love how structured it was. Each day they learned a new skill that made them feel confident and successful. My daughter was able to learn how to bike without the training wheels and she's feeling so proud and confident of herself. Thanks for creating this program and please keep offering this to many more kids. We felt overwhelmed with the love and patience of all people involved. I highly recommend this camp." "My son just completed the program. After years of trying to teach our son to ride a bike we now have a happy boy who can ride by himself. He can now join his friends on bike rides at the campground. He is thrilled. The staff and volunteers were so wonderful and helpful and could answer any question you might have. Thanks for giving my son some independence he so badly wanted." "Estoy completamente agradecida al programa de iCan Shine porque mi hijo ha podido lograr montar la bicicleta sin usar las rueditas. El Sistema del programa es increíble. Cada día es algo nuevo, nada rutinario. Empiezan por lo más simple y de acuerdo al progreso de cada niño incorporan diferentes clases de bicicletas. En realidad el programa esta diseñado para que cada niño tenga suceso en el aprendizaje. El coach dirige a los spotters. Comienzan con los niveles actuales del niño y luego que es en lo que hay que trabajar. Realmente tenia dudas que en cinco días mi hijo iba a poder manejar la bicicleta, pero lo hizo!!!! Gracias iCan Shine!!!" "What a truly wonderful and amazing week! I can't say enough about the program, staff and volunteers. I will be forever grateful for everything they did for my son. They not only taught him how to ride a bike, but they gave him the opportunity to know what it feels like to accomplish something and succeed. It brought tears to my eyes to see my son so proud of himself and happy. Before the bike camp, I couldn't even get him on a bike to practice. The program's approach and the kindness, compassion and encouragement of the staff helped to change my son's confidence and motivation. We had such a positive and exciting experience that I am so thankful for." "I was determined to teach our son Evan to ride a bike when he was a youngster. Every summer we made some strides but ended up defeated. With his cognitive delays, the challenge for us was to break every step into smaller steps for him to learn along with all the motivators like new bikes, helmets, horns, and snacks-you get the picture. He mastered some skills very slowly, but frankly the process got to be overwhelming for both Evan and us. Most children with special challenges have to work so hard to acquire and master new skills on many levels. I was beginning to feel a failure as a parent. I kept thinking "bike riding is supposed to be FUN!" We don't usually back down from most challenges, but we took a break....a long break.Then a few years back as a pre-teen he almost "got it" on his two wheeler but he grew to the point where I struggled to keep up to him and after several falls each outing, we quit. Being the strong-willed child that he is, over the next few summers, whenever I said "bike ride?" with all the enthusiasm I could muster, he gave a resounding "No!" But like many special needs parents, we persevere, move on to other things, and come back.I had heard about iCan Shine and applied a few times but too late for acceptance (special needs parents are not perfect either!). So this year we finally grabbed the opportunity to "do this!" Evan just turned 25 years old and completed the week-long bike camp today at Villanova. The entire experience was wonderful! The coordinators have expertise in the mechanics of biking that move the rider toward success at their own pace. They don't mind explaining to parents and answering many questions. The buddies/volunteers were great motivators and yes, Evan had his favorite girl buddies! They were so patient with him and worked through his stubborn streaks. His poor speech skills did not deter them. And yes, he jumped off the bike once - no big deal to them. The coordinator found that perfect blend of music to serve as a motivator and not a distractor. Positive reinforcement with ample verbal praise was continuous during the entire week. And yes, he did learn to ride with very few prompts by the week's end. I could see his confidence building and apprehension waning on our rides home from the sessions. And as always his smile says it all.Most of all in the case of a young adult like Evan, my goal in all areas is to increase independence. I recalled the years of my own childhood in rural PA riding bike all over the place and the joy and feeling of freedom it brings. I know our son won't drive a car but I feel his ability to ride a bike has given him that same sense of independence. The bike camp, staff, and their expertise provided the opportunity for our son that we could not have imagined. They took the "challenge" along side of us and that sense of teamwork toward a common goal was the support that our son needed to be successful. I love to hear him tell all his relatives what he can do "by myself" and now we can add bike riding! Increased independence builds confidence so I am certain that confidence building is right up their with his new bike riding skills. The bike camp staff were also a great encouragement to me to pull from the positives with Evan and keep on going!" 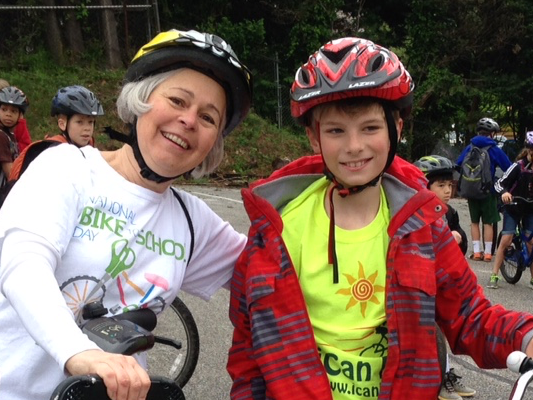 "My son, Roman, was a volunteer during this year's iCan Bike event. Although just shy of 15, he successfully assisted a few riders in learning how to ride. Every day he came home rejuvenated from his participation. He loved the interaction with the riders. Even through a meltdown or two, my son shared the stories of these courageous riders with compassion and hope. We congratulate the riders for taking this step and I am thankful as a mother for this outlet for my son. I know he enjoyed participating in the joy and accomplishment of the riders!" "We are the proud parents of a beautiful 9 year old named Cole who happens to suffer from autism. Cole attended bike camp just last week through the Fox Valley Park District in Aurora, IL through Fox Valley Special Recreation Association. Prior to enrolling Cole to camp he wouldn't get within 10 feet of his bicycle. We were very hesitant to register him because we thought he would kick and scream the entire week and it would be a complete waste of time and money. How wrong were we? Day one he was nervous and didn't want to but he fought through it and pedaled a bike for over an hour - more than he had done his entire life. Day two he was hesitant but went without a struggle and continued to learn some amazing life lessons as well as riding a bike. Day three he was literally skipping into the Recreation Center and wanted to get out to his bike. Day four he rode about 10 feet on two wheels all by himself. Day five he said he didn't want to go home. What a transformation!However, towards the end of camp he had a meltdown because he didn't want to get on his actual bike. However, FVSRA staff and the iCan Shine staff helped him off the ledge and he rode his TWO WHEEL bike for about 30 feet by himself and I was in tears. The only expectations my wife and I had at the end of this camp was that he would consider looking at his bike and possibly ride around the block on his training wheels. Those expectations began to change on Wednesday, Thursday and Friday. We started to understand how amazing this program was, the confidence it was giving Cole on his bike and, just as important, it was a reminder to mom and dad how amazing our son is and how he can accomplish anything with hard work and a ton of support! Cole overcomes obstacles, as do all children with a disability, every day.The iCan Shine program and Fox Valley Special Recreation Association should be very proud of themselves and what they are doing for all the families that attended this program. It truly meant more than riding a bike to our family. It was a great reminder for us to focus on all the things Cole can do in lieu of all the things he may never be able to do. Today is riding a bike, tomorrow may be driving a car or living on his own! Keep up the great work!!!!!!" "My son, Mark attended the iCan Bike camp on July 27-31 in IL and he learned how to ride a bike in 2 days! On the 3rd day he was riding a regular bike without help! It is a miracle! I still can't believe it! It won't happen without you! Larken and Cory were awesome! Everything was organized and planned! Mark's volunteers Malory and Crick were always beside my son! You need to see Mark's face when he was riding his bike on his own! It makes me very happy too! Thank YOU for all you do to make our kids happy! I would like to let you know that it is very appreciated!" "We had all but given up hope that our daughter could learn to ride a bike. She became so embarrassed and frustrated with training wheels that we couldn't even get her on a bike for over a year. We found iCan Shine on the internet. We were cautiously optimistic. I wanted to be hopeful, but we tried for so many years to teach Hayley with no success. She too, had little faith and almost given up interest in learning as I think she thought it wasn't possible.I can't tell you how much joy, pride and confidence we saw in her after the first day. She couldn't wait to go back each day. And she was riding her own two wheel bike by Friday. Amy and Clayton were patient, positive, energetic, and truly amazing with our daughter and each child they worked with. The Shine staff, program and volunteers were exceptional. This program is priceless. We will always be grateful for these roller bikes and how they opened so many possibilities for our daughter and family as a whole. We watched all 6 children in our session progress individually, we are so privileged to have been part of this.Thank you for bringing this program to Milford, CT."
"Thank you!! Your program is wonderful! My son is 11-years old and has autism. He participated in your camp at Mt. St. Joseph University in Cincinnati, OH this summer. The Shine Staff of Kenan and Mark were simply the best! My son had never ridden a bike before and he can now ride up and down our street on his own 2-wheel bike without any assistance! The progress he has made is just amazing. The boost to his confidence is immeasurable. We are very thankful for your program." "This was an amazing experience. One of the most organized, energetic programs we have ever done. My son, Brett is now riding a bike, no help and his family is bursting with pride. Every child deserves to feel the freedom of riding a bike on their own. Life changing....... period." "Last week was an amazing week and I am so glad that Joshua was able to participate. When we initially signed up, I wasn't sure what the outcome would be. But Lucy...it was way better than I ever expected. The total experience was "first-class". Everyone was so kind and so very committed to the kids. It brought me great joy to be able to share in the experience with Joshua and James; and with the amazing staff and volunteers. It really had an impact on our whole family. iCan Shine is a wonderful program for providing such an experience for children and Takoma Park is a great city for hosting it. Again, thank you so much for making this wonderful milestone of learning to ride a bike, as amazing for Joshua at age 14 as it would have been at age 8." "My son just finished the 2015 iCan Shine Bike Camp in Conyers, GA on July 10, 2015. It was just as rewarding to me as it was for my son. You should see the smile on his face. Although I was unable to make it to camp, my eldest was a volunteer and also our dear family friend, Esther was at camp each day providing me with details, pictures, videos, and other updates. This was very special for me. Now, we just have to keep my son riding and encouraging him that we know he can, we know he can, we know him can." "Our grandson, Jakob graduated from iCan Bike this week. An 8 year old ASD participant, Jakob was provided the most supportive, loving and focused "pit crew". Volunteers, organizers and Jakob were determined to succeed. Many thanks to The Friendship Circle, West Bloomfield MI High School and iCan Shine for creating a program that allows Jakob to "be an offical rider", in his words. We couldn't have done it without you and his determined spirit. Thank you!" "Last week my son, Jacob, went to the bike camp at Camden County College in Blackwood, NJ. It was such an amazing program! It was very well run and there were many wonderful volunteers that were great and very encouraging with all the kids. Jacob is almost 14 and we were not sure he would ever be able to ride a two wheeler. By Wednesday he was able to ride short distances on his own. By Friday he was riding independently while we stood and watched him go! That moment was just incredible! My family is so thankful for this program. It has opened up a whole new world for Jacob." "My grandson, Rylan Morrison, just completed the iCan Shine bike camp that I believe Patty Balbach runs in Evansville, IN. I CANNOT express the joy and gratitude that our entire family and friends have experienced this weekend as we cheered Rylan while he rode around and around and around the local track! The tears were streaming.Rylan is the coolest kid ever and to see him so happy was PRICELESS!!! I never knew bike riding was so frightening for the observer! lol hit a concrete wall, the bleachers, and a trash barrel! After each wreck he got up and said "its ok mamaw" "just let me ride!". What a tough determined boy.Thank you for giving one of the loves of my life such an outstanding opportunity. He cant wait to start riding through French Lick with mamaw and papaw (in a day or two) haha Rylan had very much outgrown training wheels at 11 yrs old, we were completely out of options.THANK YOU FROM THIS MAMAW AND PAPAW! JOB WELL DONE!" "Our son Matthew, who is 13 and has autism, participated in the Cleveland camp this past June. I admit to being skeptical about him being able to ride in just five days as we've tried multiple times to get him to ride without success. He wasn't too keen on trying again since he'd tried so many times in the past, but he's not one to give up, so he gave it his all every day of the camp. Within the first 15 minutes of the third day, Matthew was riding a two wheeler. By himself. He was so proud, as were we (yeah, I had tears - not too proud to say it!). Since the end of camp, we've been riding almost every day around our neighborhood and it's such an amazing feeling!Between the organization of the camp, the dedication and encouragement of the many volunteers and the technology of the roller bikes (which my engineer husband found fascinating and impressive BTW), this camp works. It really does work!" "What a wonderful camp. My husband and I have twin boys 18 years old. One son is high functioning on the spectrum and can drive a car but never learned how to ride a bike. Our other son is very severe on the spectrum. They both learned how to ride a bike independently this past week at camp in Roanoke, VA. Such a huge accomplishment. We want to thank all the staff at iCan Shine Camp, all the volunteers and we also want to thank Lea, Ginny and Sarah Riddle for hosting the event." "My son just finished a week at camp, and I was so impressed with the progress he made! The instructors were very good and C's spotters kept pushing him to do his best. He was on two wheels by Wednesday! The best thing is that he looked forward to going to camp. His confidence has risen so high. Thank you all for what you do!" "Both of my kids participated in the program in New Lennox, IL earlier this month (Drew and Colin) and everything that your organization suggested has materialized. We already see spillover in other areas, particularly with motivation and follow-through. They both are super motivated to continue biking and gaining more independence. The team of professionals and volunteers coupled with having other kids focused on achieving the same goal was a winning combination." "We cannot say enough good things about this camp. We had been trying to teach our 9 yr old to ride a 2 wheeler for several years to no avail. With the help of the iCan Bike staff our daughter significantly progressed each day. By day 4 of the camp she was riding alone. We could see her confidence grow by the day! I would highly recommend this camp to anyone that has a child struggling to learn how to ride a two wheeler bike. We are so thrilled we had our daughter attend the camp." "The camp was great! Very motivational for the students. The staff did a wonderful job in coaching and encouraging. There were a variety of differing abilities that attended the camp. A majority with Tri-somy 21. They braved the week to attempt to learn riding solo. My daughter is not riding solo. She has opted out of tandem riding and loves her recumbent bike so much better.This camp was June of 2014. So if anyone needs a bike, it is up for sale. Bright cherry red 24". It was the balance and fear of falling that she opted out. She is almost 17 1/2 yrs of age and a prime 103 lbs. Love my girl and all that is within her. We are in Wisconsin near La Crosse." "My son went through your program about 5 years ago in Rochester NY. He has motor and balance issues and was 14. Your program is what he needed. He rides his bike all over. In fact we are having to "push" him to get his drivers lic because he is more comfortable riding his bike! this would be fine but with our winters riding his bike to work is difficult!! Thank-you so much for this program!" "Your program is exceptional! We were absolutely delighted when by day 5 our son was riding a two wheeler. The staff is excellent and so very patient. Thank you so much for all you do to bring this amazing program to Phoenix. You have given my son confidence and a bit of independence. We completed this program two years ago and we are forever grateful. Hugs to you all." "My grandson Josh participated in the iCan Shine bike camp last year and I will be forever grateful to all the staff. My grandson has been riding his bike every opportunity he gets. He absolutely loves riding. He goes on public bike trails and joins right in with other riders. He even rides through the rock land tunnel up near Kennerdell, PA this summer and was thrilled. Thank you so much for the time you spend with these kids. This is an activity that they can enjoy for the rest of their lives." "I still have tears in my eyes as I watch my son ride his bike with his older brother. We spent 6 years trying to ride without success....one week in camp and he is riding! Gaby and Vanessa (along with all of the volunteers and the Milford CT Rec Dept) you ROCK! Eternally grateful for such a wonderful program. Exceeded all of our expectations." "I can't emphasize how amazing this program is. My son is 10 and participated this year. He was afraid to try. Then excited. The entire staff was amazing, helpful and kept his confidence soaring. I honestly didn't know if he'd ever be able to ride independently or without training wheels. Now, he can't be stopped. He had a new sense of freedom and pride. Don't shy away if unsure. Please let your child try this. Thank you so much! We attended the Monroeville PA bike camp." "My daughter Maryann went to the iCan Bike camp this summer. She did not want to go and was mad that she had to go. The volunteers and staff made it fun. Her fears began to fade away and she learned to ride and enjoy it. She is really proud of her self and her shiny new pink bike!" "I love to bike ride. And I was hoping my children would pick up some of that enthusiasm. Kariem had not and (quite honestly) did not want to. But I was determined to find a program that would help him. An administrator at the ARC of Union County told me about the iCan Bike program. With an 80% success rate, it was worth a shot.My husband took the 35-40 minute drive everyday to Hoboken NJ for a week. That was the closest bike camp we could find. As the week progressed and I looked at the photos & video of Kariem, I was absolutely amazed! He can really ride a bike!The program's lead bike instructors Amy and Clayton were great. The volunteers were equally as good (thank you Hannah and Jamie). They even found a way to incorporate Kariem's self-talk into a game of Autobot (Kariem) chasing Decepticons (the volunteers). It got him to ride a while longer which helped to build his skills and form a better connection. This was pure genius!I cannot say enough about this amazing program. When we go for our first family bike ride in the park, I'll be sure to send photos. Hoboken Family Alliance along with iCan Bike instructors & volunteers made it all possible. Thank you so much!" "My son just learned how to ride a bike this week in Akron, Ohio with Kenan and Lily. He was so excited to learn how to ride! Kenan and Lily were very patient and knowledgeable. I really appreciate their commitment to this program! Jacob had 2 great volunteers helping him also. Morgan was especially helpful to Jacob by being very encouraging and getting him pumped up and excited each day. Morgan wasn't able to be there on Friday, but took the extra step of texting us while Jacob was at his session to encourage him that way!Jacob is so proud to be riding and we can't wait to ride together as a family!" "My son Ayden has high functioning autism, severe ADHD, and sensory processing issues. He attended camp this year and it was amazing! I've never seen him stay so focused! Usually he does something for a few minutes and wants to move on to something else. He wanted to ride the whole time, and was riding a 2 wheel bike by himself on day 3!!! I was so happy, I cried!We are so grateful for the camp, and Genny an Lea are wonderful amazing people! Thank you so much for everything you have done for Ayden!!! I have to say this was one of the best experiences of my life, to see my son achieve this with these amazing people! Thank you all so much from the bottom of my heart!" "During the week of June 23, 2014 our daughter Davanna attended the Amazing Bike Camp. Davanna suffered a Traumatic Injury on a snowy January night in 2009 and has not been on a bicycle in 6 years. Through the compassion of awesome of support volunteers who walked with Davanna directly all week, (...and God's Grace) she rode a bicycle independently on Thursday, indoors and then outdoors on Friday! She could not have done this without all the wonderfully caring and knowledgable staff! The staff and volunteers were a Blessing to Davanna! THANK~YOU!! The Feyrer Family of Butler PA"
"Thank you to all that had some hand in this camp. It has been a great thing for our son, Gavin. Our story begins back in 2013, when Gavin had no desire at age 8 to ride a bike. His idea was to run along side of the bike and push the bike so that it would sail away without him on it. Not our idea of fun. But he just had no desire to ride the bike. So we found out about the bike camp and it was a great thing to have him try. It was worth a shot! What's the worse that can happen? So last year started like any other day when he would ride a bike. Wanting nothing to do with the bike. But with the help of the instructors and the volunteers, they encouraged Gavin to get on and stay on the bike. After a day or two, Gavin was riding the bike (with assistance of course) but was wanting to stay on the bike and ride. There was no more attention on wanting to push the bike or run alongside of the bike. To us, that was progress. It didn't matter to us if he was riding with or without training wheels...HE WAS RIDING A BIKE! With such progress the camp allowed him in year 1, we knew year 2 would be better. The rest of the Summer of 2013, we worked with him on riding, as well as keeping his feet on the peddles and focusing on where he was going. By end of summer he was keeping his feet on peddles and peddling, but still lacked focus. The second part of this story is where it leads us this year for Year #2 for bike camp. As Summer 2014 approached, we knew we wanted to sign Gavin up again for camp. We didn't want to miss out. We just knew that with such great progress last year....this year would be better. But once again....riding on two wheels was not our main goal. Our main goal was having Gavin focus on where he was going while riding the bike and all that goes into riding a bike. This year of bike camp, was another great year. He got right on the bike and took off. He rode with conviction but lacked the ability to focus looking forward. So his two helpers decided to try to have him focus on the track pattern lanes to help aide him in riding with attention to detail. This allowed him to focus on the task at hand and not what was all around him. One of the other things that I thought helped him was having one of the volunteers run backwards while giving him a sticker for every reward that he achieved. Gavin still doesn't know how to ride without training wheels but the help, the support, the advice we received from the camp and all its volunteers was above and beyond anything we expected. Once again, riding without training wheels will be a goal in the near future, but first things first. This year out of the two years we have been apart of the Bike Camp program, was the best year yet. So many factors went into making this one of the best…. great people who run the program with such passion for the camp and our children, the overwhelming numbers of volunteers, and location. I truly can't say enough about this wonderful program that aides our children to do what most other children can do. This year to us, was another success story…. This camp allows Gavin to fail without judgment and to get back up and start over with intense passion of wanting better for himself. Thank you again for all that this camp does provide but to all those who helped keep it alive. Your passion and your heart really and truly shine through this camp. Keep it up! Great Job! See you next year!" "Our son participated in the iCan Bike program in July of last year in Toledo. He logged over 100 miles after the program last year and this year he has already hit 126 miles. He is really pushing his parents! He has reached a new level of self confidence and independence." "My son is out riding his bike with a friend in the neighborhood. That is a common thing for a parent to say in the summer. But not this parent about this son. Until last year, he couldn't ride a bike. So when the boys in the neighborhood were riding, all he could do was watch, and wish. Then I found out about this wonderful program. And in a week, he was riding! Once home, I encouraged the riding, first riding with him, then using it as an alternative to playing on the computer. Every time, he wanted to know how many laps, and I would give him a number. And today, he was out riding for fun with a friend. I can't explain how wonderful it feels to make that comment that so many take for granted! Thank you to the staff of iCan Shine for teaching my son to ride his bike, and to like it! I have recommended your program to two others, and both had the same great experience at two different sites. This program works!" "My daughter Samantha is 11 years old. She has developmental disabilities that make riding a bike and learning to ride a bike challenging to say the least. My husband and I were doubtful that this program would work (before we knew the details). Boy were we wrong! What am amazing group of people surrounded be exceptional, hard working staff, volunteers and riders. The support for both the riders and the parents was out of this world. On day 3, Samantha was on two wheels with help. On day 5, she was riding her own bike without any assistance. Truly amazing. On so many levels. Thank you doesn't cover it. We are so happy to have been a part of something so inspiring." "Dear I Can Shine Team,I would like to thank all of you for your great work. My younger brother Keshav is a 27 yr. old active young man who has tried on and off for years to ride a 2 wheel bike. Myself and most of the family had put the idea of him riding on 2 wheels out of our minds and with his age thought it might be past him. At a recent national down syndrome conference in DC, another parent shared with us that your program was coming to the area and we should look into it. My mother, the pillar of our family who always believes its never too late, did not hesitate to sign Keshav up for the session. We all had our reservations that it more than likely would not work and that the program was an hour away, he may get discouraged.....etc,Well....after the dedication of my brother to do his best and try it out, and the dedication of my family, the volunteers, and the I Can Shine staff.....HE IS RIDING!!!! The morning of the last day of the program, my brother and I went on a frantic search for a bike to purchase, with both of us hoping we were not wasting our money. He had not tried to ride a regular bike up till that point and after warming up on the training bike, the time had come to try his new 2 wheel bike. To this moment I am still amazed at what happened next and what I have seen in the weeks since. Keshav is riding daily and is getting more and more confident about his riding ability. We started on a flat blacktop and now have progressed to riding around parking lots. This truly has been a blessing and a very big progression for my brother as it will raise his level of independence and help him stay healthy. We wish we would have heard about this program years ago, but are thankful and fortunate that he is riding now.Finally, the volunteers who were mostly high school students are the heart and soul of the program. The motivation and friendship they provided is the energy source that make the program go. I hope that this program can touch thousands of more lives and thank all involved from all of us in the Gupta family." "Last year my son Aaron completed the bike camp but throughout the year he still couldn't get it under control. So my mom handed me the flyer and said put him back in it again. I was skeptical at first but did as my mom said. Boy was I amazed at how much he still needed the program. By day 3 he was on his own bike. By day 4 he was outside riding by himself and nobody following him, just spotting him from afar. Once he finally figured out how to start off by himself their was no stopping him. I am grateful for the program and hope that any other family that feels a second go around might not be worth it to defiantly give it a try! The program is wonderful and so is the staff. What else can you ask for except knowing that your child will succeed!" "My daughter Anna participated in an iCan Shine Bike camp in Evansville, Indiana last week. It was the most tremendous, wonderful experience ever! I wanted to thank you so much for making this opportunity available to her. Because of your years of extensive work and research on bicycle dynamics, and your vision, initiative and passion to develop the iCan Shine Bike Camps, you have made an incredible difference in the lives of young people and their families. You have given a gift of invaluable worth to these children with special needs. Through the bike camp, they have been able to accomplish a most liberating and wonderful feat...to ride a bike. I’m sure that through the years with the iCan Bike program, you have heard countless parents and kids express their gratitude. However, I don’t know if you can truly understand the “magnitude” of what you’ve given. As a parent, it is heart wrenching to see your child, constantly on the “outside of the norm” doing “atypical behaviors” and often seeming “not to fit”. You are desperate to somehow “fix it” and make it all better. With Anna, our journey to “fix it” began about 5 years ago when she was diagnosed with autism at age 3. Her diagnosis was devastating to us. It was also so surprising. Her development up until she was about 2 ½ seemed completely normally. We have videos of her at a young age, totally focused and engaged, at times singing songs, responding to request, laughing, mimicking, etc. It was after she turned two, that I started noticing a difference in her and the other children in the church nursery. A few months later, she started “umming” and flapping her hands. More and more characteristics of autism followed. For some time, it seemed as though she was completely in another world. We would have to say her name repeatedly to get her attention. We wondered, “What had happened to our precious little girl?” “Where had she gone?” Anna has been in multiple therapies since that time. We’ve tried the gluten free diet, ABA therapy, floor time therapy, horse therapy, music therapy, occupational therapy, speech therapy, sound therapy, and more. She has made progress through the years. Her focus and ability to follow directions has definitely improved. She no longer has melt downs in crowds or in unfamiliar places. She makes her requests known to us with simple phrases and sentences, makes choices, and connects with us on a very real way. Anna is a very affectionate, easy going child now. She is usually very happy and loved by all who meet her. She is cute, funny, and adorable. She is a definitely a gift from God, just as she is. However, we want her whole and “free”. We want her to experience all the joys in this life and develop to her fullest potential. We continually pray for God’s wisdom on this journey, and our truly blessed as he leads us. A few months ago, my husband saw a publication about the iCan Shine Bike camp and enrolled Anna. We couldn’t have imagined at that time what a liberating and therapeutic experience it would be for all of us. To see her intense focus and effort and her face “beam with pride”, was such a joy. On the tandem bike she smiled and moved her legs in motion; it was like her spirit was “flying”. I agree with you, riding a bike is a “spiritual experience”. After each day’s session Anna seemed so much more alert and “present”. She watched the video clips we posted on Facebook and looked at the newspaper clipping with her photo on the front page (see link above). Our friends and family would complement her on her participation and effort on “riding a bike” all week. She didn’t say much, but you could see it in her eyes. She was proud and she was happy.Anna had had very little experience with tricycles and bicycles. We, along with her occupational therapist at school and at the rehab center have tried for years to get her to ride. She would pedal a few times and then have to be encouraged and prodded continually just to move the vehicle a few feet. She didn’t seem particularly interested in going anywhere and would lose focus in the painstaking process. Maybe she wanted her body to move the bike, it just wouldn’t cooperate. However, last week, even on the first day, we saw a different Anna. She moved the adaptive bike around and around the gymnasium smiling and rocking to the music as she went. There was some difficulty with keeping her feet on the pedals, at first. But after trying sticky tape on the pedals, an ankle weight on her left leg, and lots of encouragement from her coaches, she was able to keep her feet on. By the third day, she rode the entire 75 minutes without a break. When it was time to go, we walked toward the exit. She became upset and said, “Purple... want purple..” We didn’t know exactly what she wanted, so my husband and I followed her across the large gymnasium. I thought she was going to the vending machine and was wanting a snack. She led us right back to the bikes. She grabbed a hold of the purple bike and tried to get on herself. She was very upset, when we told her that her time was up for the day and she couldn’t ride any longer. It was the same for the next two days! She loved it and rode the entire time!Once again, thank you for all you do to make such an impact on the lives of children. God Bless You!" "This camp was the best! I have two special needs children and me and my husband have tried for years to teach our kids to ride a bike. It never happened. My friend told me about this camp. I signed both my kids up. The camp was awesome. So patient and wonderful staff. It was a success! Never thought it would be possible. Now we can ride around a lake in town as a family. I feel truly blessed! It was such an accomplishment for both my children and our family." "I wanted to write to thank you and your team for all of your hard work and dedication during last summer’s iCan Bike camp here in Orlando. You taught Ben how to ride a bike - and in one week even - but you gave him much more than the ability to peddle and stay up on a two-wheeler. You gave him the chance to understand what he is capable of. You gave him the freedom to dream, and not be held back by his fears and worries.Ben not only has autism, and the low muscle tone and coordination issues that come with that condition, but he also has an extreme sensitivity to certain sounds. Sounds like clapping, cheering, and yelling put him into a “fight or flight” response almost immediately, and so he spends his life watching and waiting for those sounds to pop up. It is a life filled with anxiety and worry, and so he often can’t go places or do things where there is even a small group of people because he is so afraid of what sounds might happen.The first day of bike camp was fun and exciting for Ben, but also very anxiety producing. He was so worried that camp would start with cheering or yelling, and I had to really work to keep him in the big open riding space. Luckily for us, the session started in a very low-key way, and he was up on his roller bike quickly. He rode by me, smiling and looking so proud, and I could see the excitement in his face as he did something that, just the day before, he could not do.He did not mind the occasional cheering or yelling at all - I don’t think he even noticed it! He was too busy having fun and being challenged to ride faster and peddle harder. At the end of that first session, he hated to leave (a complete change from the kid that did not want to even stay in the room that morning! ), and he spent the rest of the week eager to get to bike camp and keep riding.On the third day when the iCan Bike staff had said kids might start to ride regular two-wheeled bikes, I knew that Ben would not be ready for that transition, and that was ok. He was learning and having fun, and I hoped that he would one day have the skill and strength to accomplish that goal. Well, I was wrong! I clearly did not have enough faith in iCan Bike or in Ben, because 15 minutes into that session, he rode by me on a regular two-wheeled bike! I started to cry almost instantly, as the enormity of what he was doing hit me. He was in a big room, with lots of people, and there was cheering and clapping, and he was not afraid and not running away at all! In fact, he was thriving! And now, he was actually riding a bicycle by himself! This program and Ben had accomplished something in 3 days that we had not been able to do for 5 years!That day, after the session was over, Ben and I just walked around and talked about how excited we both were, and about how proud I was of him. I asked him how it felt to ride that bike, and I thought he would talk about going fast or feeling free. Instead, he looked at me, and said, “It made me feel like I could do anything.”He has continued to ride since that week of camp. Our neighbors were completely amazed at how well he was riding, and how confident he was. Even they could see that the experience had changed him, and those changes reverberate to this day. When it comes to sounds and situations he continues to be a bit braver than before bike camp. He continues to do things even when they are scary. He has held on to that belief that he can do anything.So thank you iCan Bike, for teaching Ben how to ride a bike. Thank you for giving him a chance to face some of his fears in such a supportive and caring environment. Most of all, thank you for letting him accomplish what seemed impossible. We look at the pictures from that week of bike camp often. They are such a great reminder of that amazing, life-changing week.Later today, we will go out after school and ride bikes together. We will talk about things, or just be quiet together and feel the wind in our faces. And both he and I will be reminded -again- that we really can do anything. We just have to show up and keep peddling.Thanks again so much!" he pedaled around the rink.My kid is over the moon with pride & self-esteem! I’m so excited for him. We got him a big bike of his own, and he will be riding his bike tomorrow! consider this camp. They have had people as old as 26 at the Atlanta camp. “I would like to thank Gaby, Chris, John and Dee the staff at the iCan Bike program in New Lenox, IL. My son Tre who is 16 and has had difficulty learning how to ride a bike for 10 years now can ride independently. He did it in 4 days instead of 5 thanks to the staff. This was one of my son’s happiest moments in his young life. He feels so independent and confident now!!!! “Ariel, 9 years old, was able to ride a bike with support wheels, but we were afraid to let her try to ride a regular bike. Learning to ride a bike (again) after 51 years"I rode a bike throughout high school and left it behind when I left home to go on to further schooling a long distance away. Then I got married and had children and life was busy. In the back of my mind I still remember the enjoyment I experienced from riding a bike while growing up and always wished that I would be able to ride a bike again. For almost 30 years we lived on a gravel road, so bike riding there was not practical. When we were in Europe in 2008 I tried to ride my sister’s bike and it was a fearful experience. I could not make the transition from standing on the ground to getting my foot up on the pedal. I felt I needed to learn how to ride a bike again, but who wants to run beside an elderly woman holding on to the back of her bike while she learns to ride a bike? The opportunity to learn never seemed to present itself.Fast forward. On Saturday, May 30, 2015 there was an article in our paper the Ames Tribune (Iowa) about an iCan Bike Camp for people with disabilities to learn to ride bikes. Immediately I wondered if I would be able to join. There were only 13 registered campers at the time with a possibility of 40. The worst that could happen to me was they could refuse and say it was only for those with disabilities. I called first thing on Monday morning and was allowed to join the campers as number 14. I had to look past it that I was a 68 year old woman learning to ride next to young children. But I wanted to (re)learn so badly to ride a bike.The camp itself was such a good experience, the staff were friendly and so helpful and were right beside me the whole time, except of course on the last day. Plus the bikes were equipped with a roller for the back wheel and also a long handle so the staff could hold onto the bike as needed. As the days went by my confidence returned, I even learned how to get my foot up on the pedal and get going. The only thing I did not really enjoy was the tandem bike, the rider behind me was going too fast for me, it was actually scary. I would have preferred that we could have gone at my comfortable speed. Other than that I am so glad I was able to have this experience.I know that this event is for people with disabilities and I think that is such a great idea and to see the kids smile as they are riding around on their own because they have mastered riding a bike. However, as an older person, I am so thankful I was able to be a part of this and hope that in the future you will reserve a spot or two for the elderly. This is such a good way for us to get some much needed exercise." "When I was younger, I really wanted to ride a two wheeler. However, my parents kept telling me I wasn't ready. I tried a few times but always fell. It was really frustrating. I felt left out because my younger brother and friends could ride a bike but I couldn't. I gave up on learning to ride and was convinced that I would never be able to do it.Then last spring, my Mom came across the iCan Bike Camp online and asked me if I was interested. I immediately said yes! When I got to the camp for the first time, I was nervous. I was still not sure I would be able to ride a bike. But once I got the training bike, I felt confident. I had an amazing week at the camp! My volunteers, Dom and Trish were very supportive of me and always gave positive reinforcement.By the end of the week, I could ride a two wheeler independently. I was so excited and so was my family. Now I enjoy riding on the bike path at the park near my house. I would recommend iCan Bike to anyone with a disability because it helped me to not only ride a bike but also believe in myself!" "I did it! I have mastered the two wheel bike! Check me out! Thank you Down Syndrome Foundation in Orlando and iCan Shine! My mom asked me what big treat should we do tonight to celebrate, ice cream, a movie… I said, let’s go biking as a family! Love, Charlie from Orlando." "It was one of the most emotionally rewarding volunteer project I have ever done! To see the kids' confidence on a bike change from being somewhat scared or intimidated to elation and pride in riding their bike was priceless for me. I will always remember the kids' smiles and interaction with their parent or sibling as they were learning to ride a bike." "This past week was truly inspirational and life-altering. I'm so glad I had the opportunity to help inspire, motivate, and challenge the campers. I can't wait until next year!" "It was incredible to see what a massive transformation the kids could make in such a short time. Every minute was amazing and completely worth it." "The week I volunteered for iCan Bike was hands down one of the best experiences I have ever had. I have absolutely fallen in love with this amazing organization." "I have never seen a program develop such amazing results in such a short period of time. The team was extraordinary and the relationships that were built will never be forgotten." "I love volunteering with iCan Bike. The operations are extremely well-run, the staff is superior. The level of care and respect shown to the riders, parents and volunteers is second to none." "I loved helping these awesome kids enjoy and have fun riding their bikes. I truly love to make a difference and it’s been a wonderful journey. We helped them see that they can accomplish anything if they put their heart in it!! Seeing their smiles made our day and the way they improved!! So happy to be apart of something so great, thank you for this beautiful opportunity!!" "We had an awesome experience! We were matched with a rider who is a student at our high school, and it was so rewarding to work with him and build a friendship with him. We are definitely going to continue riding together in our home community. His mom said that she has never seen him so comfortable in this type of activity, and we think that being able to talk about our high school and common experiences was key! We both cried (along with his mom) when he got onto his own bike and started riding with no problem. It felt like a movie! It was amazing to see our rider (and so many others) learn to ride in such a short time. The iCan Bike staff was friendly, helpful, and supportive, and they found a good balance between guiding us and letting us be independent with our rider. iCan Bike was so well-organized and balanced, and it was great to have a specific assignment and to stay with the same rider all week. Also, we formed a friendship with the other volunteer assigned to our rider, and we are going to stay in touch with her. This was such a great experience! We are going to look into other iCan Shine opportunities, and we can't wait to volunteer with iCan Bike next summer!" "I CANNOT wait to volunteer again next year!! The dates for our location have been set for 2019 and they are already in my calendar!!! I can honestly say that this week had been one of the best weeks in my life and I was so sad when the week was over." "This program has been a blessing in so many lives. Especially for my son who was a rider 3 years ago. After 5 years of trying to learn to ride a bike, we found this program. It was a literal miracle to see him go from scared, clumsy, unsure, and doubtful to riding outside on his brand new bike IN ONLY 5 DAYS! Since then, my husband and I have volunteered at the week you are in SLC. It is still so rewarding because now I get to see the joy, amazement and gratitude I felt, on other parents faces! Thank you for changing lives!" "The program was a blast, even though it was my first time! The boy I was helping was extremely open about himself and both of us had a conversation the entire time every day. It was like we were brothers. Also, I'm extremely proud that he learned how to ride a bike!" "I have volunteered at this camp with my sons for seven years and each year, I find it to be an extremely rewarding experience. There are many lessons to be learned that I cannot explain using words to my children, but after this camp, my sons "get it." It has enriched our lives tremendously and I know that years later, my sons will look back at this experience and remember the lessons learned here. Anyone who can jog a little should be a volunteer at this camp." "This was my first year volunteering with iCan Bike. I really had no idea what to expect other than I knew we were helping children learn how to ride a bike. All I can say is "WOW" to the affect it had on me. I loved every moment of it! I volunteered for 4 of the 5 days and met little Gavin. He touched my heart and was so sweet. Watching Gavin learn to ride his bike on his own gave me so much joy. It is way beyond words how it feels to see the children's smiles and watch their confidence levels increase. Hats off to all of those that make this happen because we all know that behind the scenes requires a lot of work. Thank you Esther Maclin for allowing me the opportunity to enjoy the blessings that come along with the program. I can't wait until next year to volunteer again!" "I just served as a volunteer at a session of your camp in San Antonio, TX. I wanted to let you know what a great program it was. By the end of the week all 8 of the riders in our session were on their own bikes, and most of them were riding with little or no spotting. Emily was our floor supervisor and I thought she was just great. She handled the riders, volunteers and parents beautifully. We were always on time and it was very organized. My 14 year old son worked with me (we had different riders) and it was a great experience for him too. All of the volunteers were so invested in each of the kids in our session learning to ride. I admit to being emotional when I saw how happy they all were to be riding so well.Thanks for having such a grat and impactful program for everyone. I can't say enough great thigns about it and Emily and John. We can't wait to be back next year." "I wanted to thank everyone involved in this program for all their effort and support throughout the five day camp. When I first met my rider, I thought he was too young to be able to ride a two wheeler. He had some rough days where he would shut his eyes on the bike and sleep while riding...or say that he couldn't or didn't want to ride ever again, but wow!... he came out strong on Friday. He was the last to make his way outside but he did it! Also, it was amazing to see how every time his rollers were changed, he would be unstable at first but then got the hang of it and could keep his balance. When I signed up as a volunteer for the camp, I wondered if it was worth getting up at 7 in the morning for 5 days over April break, but seeing these kids smile and watching them progress was definitely worth giving up some sleep and energy :)… Once again, this was a fantastic and unforgettable experience for both my brother (a rider) and I. Thank You!"